HSBC deliberately deceived the Treasury Select Committee and was in contempt of Parliament by claiming their “fake” solicitors were regulated, whistleblower and financial activist Nicholas Wilson said Friday. The British-born investigator, who is currently preparing a private prosecution against HSBC for its alleged role in widespread fraud, says the bank purposely misled parliament by falsely stating to Conservative MP Andrew Tyrie that their in-house legal division was regulated by the Solicitors Regulation Authority (SRA). Wilson uncovered concrete evidence the SRA did not regulate this legal entity in 2011. As part of ongoing investigative research he is conducting into what he stresses is large-scale HSBC fraud amounting to £1 billion, the whistleblower discovered what he alleges was HSBC’s deliberate deceit of Parliament. In the wake of a recent fake solicitor scandal, surrounding controversial pay day lender Wonga, Tyrie wrote to major British banks on behalf of the Treasury Select Committee (TSC), inquiring about their policies with respect to unethical and aggressive debt recovery practices. HSBC responded to Tyrie in July 2014 insisting that their “in-house firm”, DG Solicitors, supposedly responsible for litigation and debt collection, was regulated by the Solicitors Regulation Authority (SRA). “DG was established in March 2001 and was registered and regulated by the Law Society until 2007 when the Solicitors Regulation Authority (SRA) took over responsibility for regulation, although DG remained registered with the Law Society,” the bank said. The bank said the supposed in-house DG “firm” stopped trading in February 2014, several months before the Treasury Select Committee’s probe was launched. But Wilson says DG Solicitors was not a firm – or legally structured in this capacity. 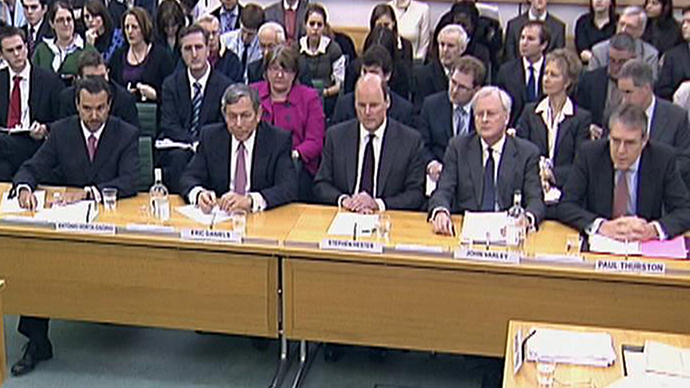 He argues DG was a HSBC fabrication, consisting of a loose group of in-house HSBC lawyers. “There was no such firm, as a search of solicitor firms on the Law Society website will show,” he told RT. Wilson’s stance in this context is backed by the SRA. The financial fraud campaigner and whistleblower was given documentation from Arthur Shuter who had directly liaised with HSBC on the matter. Shuter had previously contacted the regulatory body in 2011, inquiring whether they were responsible for regulating DG Solicitors. “I can further confirm that the firm DG Solicitors is not regulated by the SRA, and we have classified them as a commerce and industry organisation,” she added. Remarkably, this appears to overtly contradict the information the bank offered Parliament in July of this year in the midst of the TSC’s probe. 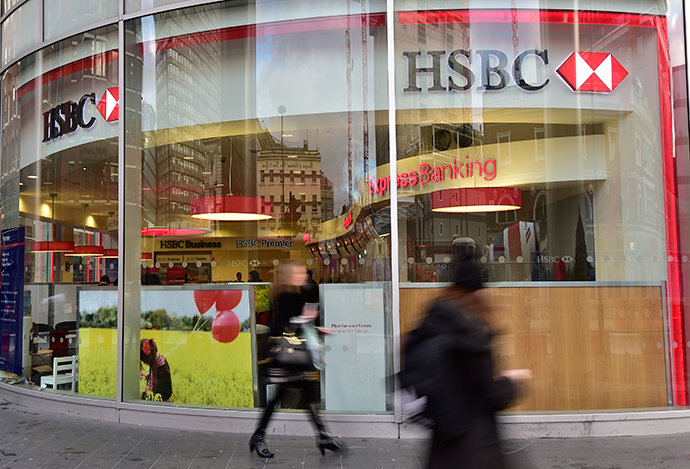 It may also contradict a clause at the foot of letters HSBC potentially circulated to its customers that were in arrears. Under UK law, any act conducted by either an MP or an ordinary member of the public that obstructs or interferes with Parliament’s capacity to perform its functions amounts to contempt of Parliament. The issuing of false evidence or information to a parliamentary committee such as the Treasury Select Committee falls directly within this category. But Wilson argues HSBC didn’t just mislead Parliament. He says the bank may have deliberately misled their customers who were in arrears by sending them letters that inferred the debts they owed were being analyzed for the purpose of debt recovery by a legal firm that didn’t exist. The whistleblower suggests many of these letters may also have stated in the small print that they were regulated by the SRA. “The fact that some DG Solicitors letters stated at the bottom that they were regulated means that not only did HSBC lie to parliament, they committed a criminal offence by representing the “firm” as regulated,” Wilson told RT. Whether HSBC engaged in unethical debt recovery methods as an aggressive means of collecting funds from customers in arrears remains unclear. But the possibility has not been ruled out. 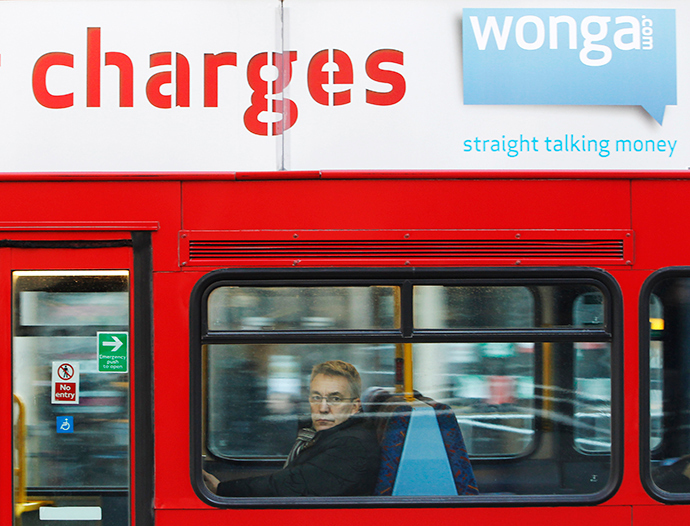 In the case of controversial pay day lender firm Wonga, an investigation initiated by the Office of Fair Trading (OFT) and subsequently pursued by the Financial Conduct Authority (FCA), revealed the firm had sent threatening letters to customers in arrears from legal firms that didn’t exist. In some cases, the pay day lender also charged customers for administrative fees associated with the sending of these deceptive letters. These immoral and unfair practices of debt collection, which put customers under extreme pressure to issue loan repayments, landed Wonga with hefty fines in the wake of the investigation. The pay day lender was forced to pay in excess of £2.6 million in compensation to approximately 45,000 customers. While Wilson has directly notified the Treasury Select Committee about his concerns regarding HSBC’s alleged criminal activity, contempt of Parliament and deliberate deceit of its customers, he is yet to receive a response. “HSBC’s practices are worse than Wonga’s, who never claimed to have been regulated by the SRA – they are trying to cover up their fraud by ‘misleading’ parliament,” he said.